VizKidz is the family ministry of Vision Church. 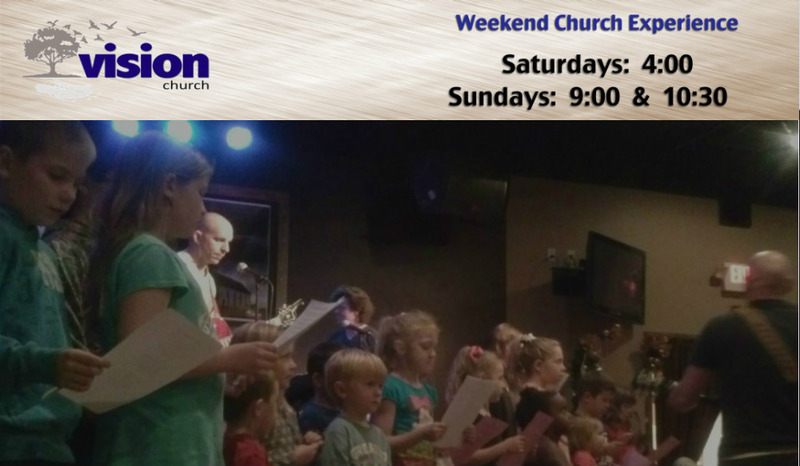 VizKidz is offered for children ages infant –6th grade during every church experience. From the beginning, we strive to make your families’ time with us a great experience! We use skilled volunteers, technology, fun activities, and excellent environments to communicate the timeless knowledge of our loving God. Along with crafts and snacks we incorporate music, prayer, activities, Bible verses, and discussions to help them begin to use God’s principles in every aspect of their young lives.